As a broker, you can offer Tradeworks to traders who have lost their funds in their early-stage trading. In doing so, you will offer them a comeback opportunity with a tool that can help them avoid the errors they made in their beginner-stage trades. Anyone who has a little experience with trading knows that many first-time traders lose all of their initial account funding because of well-known mistakes during their early-stage trading. These include emotional trading, lack of risk management, or missing out on monitoring open positions 24-7. Tradeworks helps traders manage these common human flaws. Tradeworks is an easy add-on to an MT4 broker’s product offering, as we allow your trader to activate their own algo strategies. As a result, a trader using Tradeworks has the option to avoid typical human errors in their trading. 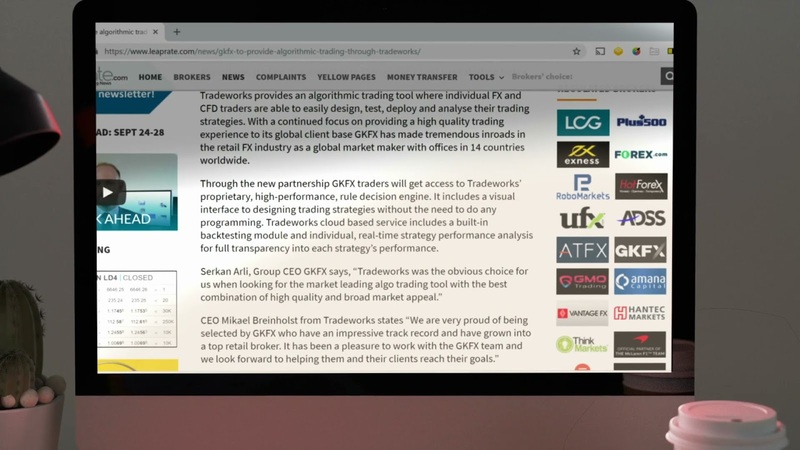 It is not even complicated: The trader can create, edit, modify, and optimize without having to learn any coding language, Tradeworks takes care of converting the input in a natural language editor into an EA and deploying it for the individual trader. 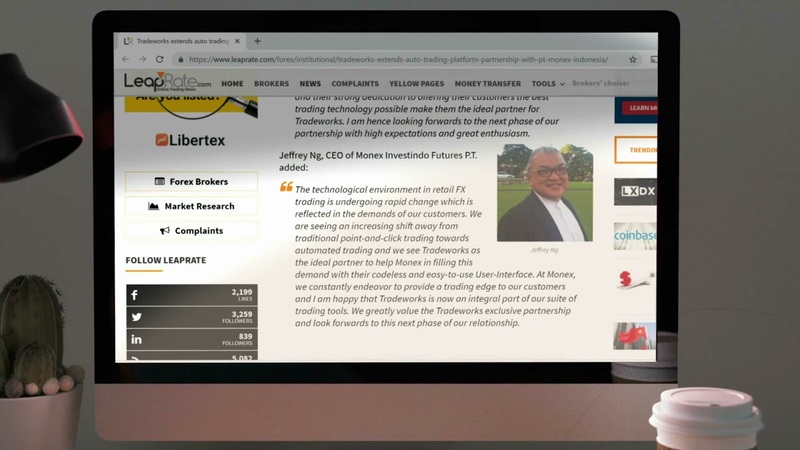 As a broker, you may choose to share this video with a brief email to those of your traders who have lost their funds, to explain that the errors they have made are common and that Tradeworks could offer them a fresh start as traders. We recommend that it comes with a requirement to have a funded live account. You, as a broker, need to be sure that the interest on the trader’s side will materialize, since Tradeworks of course comes at a price. This should be easy to communicate, since Tradeworks makes real-time tick monitoring and algorithm execution available for the trader. Such a premium feature, carrying a very serious server load, isn’t made for window-shoppers and demo accounts. Traders don’t even need to build a strategy from scratch. 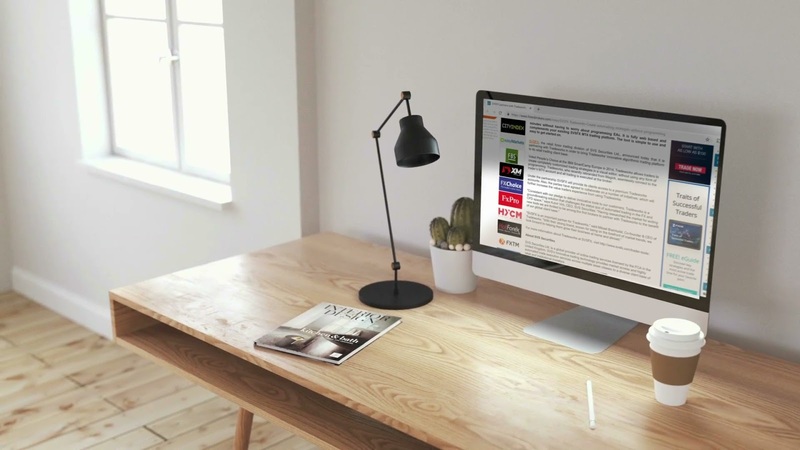 Tradeworks provides all traders with a range of research strategies, which can be cloned directly to the trader’s strategy portfolio and then modified according to the trader’s risk preference. This simplicity also makes it easy to explain Tradeworks’ benefits to traders. When a brokerage has a partnership agreement with Tradeworks, they are granted unique key credentials, which allow the brokers to grant their traders permission to use tradeworks. After unlocking the broker portal page, the broker adds the trader’s name and MT4 access credentials. The account manager adds the trader’s unique MT4 credentials. The trader will now have access to use Tradeworks’ algo trading platform, but only when connected to the sponsoring brokers server(s). Afterwards, Tradeworks will send the trader a series of onboarding emails and occasionally retain the interest of the traders using email campaigns etc. Tradeworks offer a range of flexible price plans, so brokers can select the plan which is most appropriate for them. 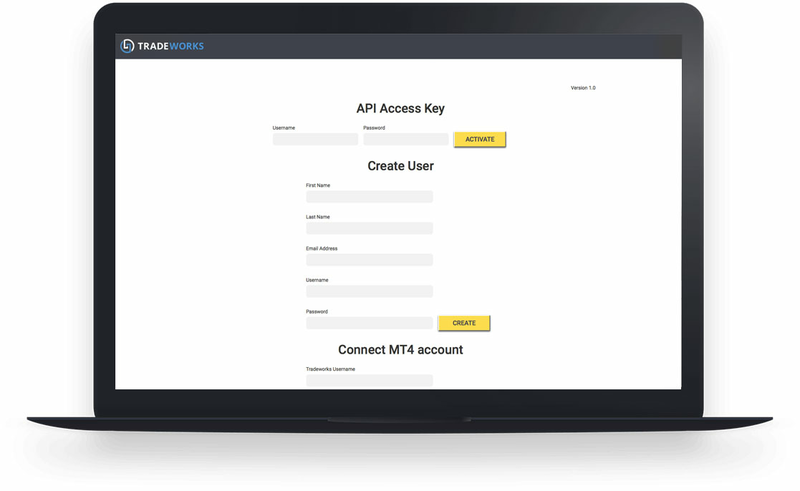 Since Tradeworks is based on MetaTraders’ MT4 server technology, there isn’t any new technology to implement for brokers. Additionally, Tradeworks provides reports of trading activity and other statistics for the onboarded traders’ usage of Tradeworks, so there is a high degree of transparency for brokers. Moreover, Tradeworks takes care of almost all technical backend work and setup; we only ask for server information from the broker in order to set our tech stack up correctly for the individual broker. Finally, traders are not able to connect to other brokers; they can only connect to their sponsoring broker. 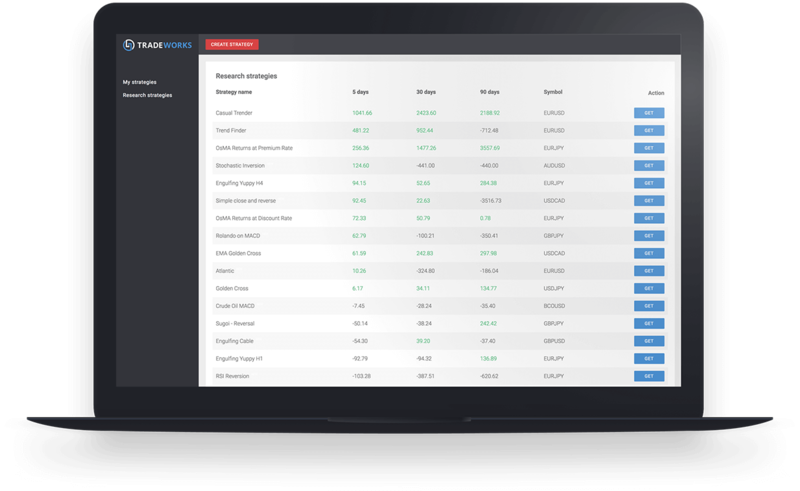 Would you like to know how many of your traders would actually use Tradeworks? We would love to answer that question, or any other question you might have.